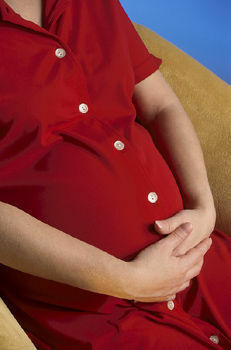 Pregnant women should know that an unborn baby is usually in more danger in a car than a young child is. Pregnancy means special safety precautions when riding in cars. Researchers estimate that thousands of unborn children die in car crashes every year and the problem hardly registers with parents, even considering the safety measures available — like the mother not driving at all, or maybe even just staying out of cars altogether. On top of that, says Winlaw, you don’t even need a crash to injure an unborn baby, since the gravitational forces of events like an abrupt stop or severe slide can damage the placenta. “It’s the same principle that causes doctors to tell pregnant women not to ride roller-coasters,” Winlaw says. Dealing with those risks is a decision for the mother to make, Winlaw says, once she’s aware of the danger. “Making her aware of the danger is what we’re trying to do.” Winlaw says that when she and co-author Alex Law researched Car Advice For Women, “We discovered quite a few safety and security items of concern to women that weren’t getting much public exposure or were being misrepresented, but, the danger to unborn children is perhaps the most compelling safety issue of all. Researchers at the University of Michigan Health System say that about 250,000 pregnant women every year experience some kind of trauma during their pregnancy, and that about two-thirds of them (about 165,000) are involved in motor vehicle crashes. One or two percent result in fetal death, the researchers says, which is 1,650 to 3,300 unborn children. The most common cause of fetal death in a car crash is abruptio placenta, which occurs when the placenta prematurely separates from the uterine wall. This can keep the unborn baby from getting the nutrients it needs and can result in death or health problems in the future. This is why the Michigan researchers advise that all crashes involving pregnant women should result in medical attention as soon as possible. Winlaw adds that it would also be smart for a pregnant woman to consult a doctor after any severe auto incident, such as a skid, a spin, a crash-avoidance move, or a hard-braking incident. The pregnancy danger is covered in depth in the book; more tips and practical advice can be found at AAA, on your local DMV and other Transportation Safety sites, Winlaw says, but there are also some things to bear in mind.